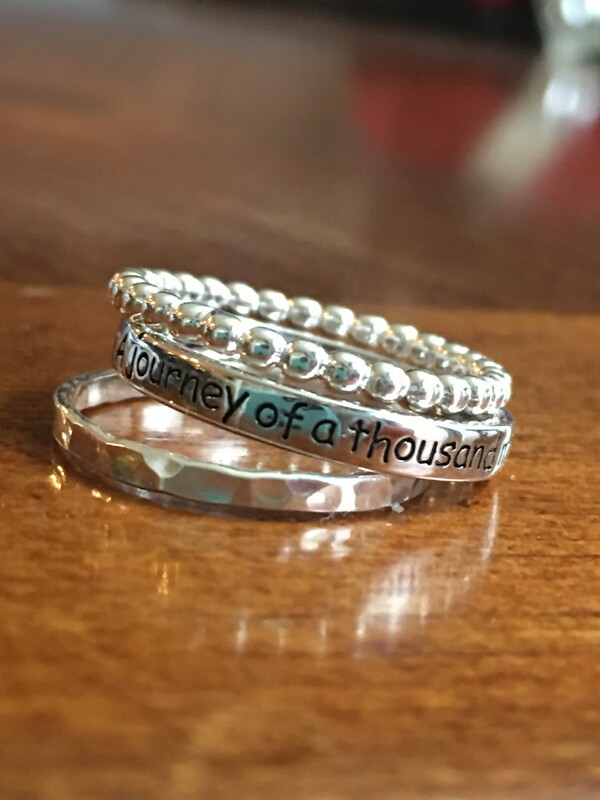 Save now on stackable name rings, mother’s necklace or personalized jewelry gifts during our Memorial Day Flash Sale. 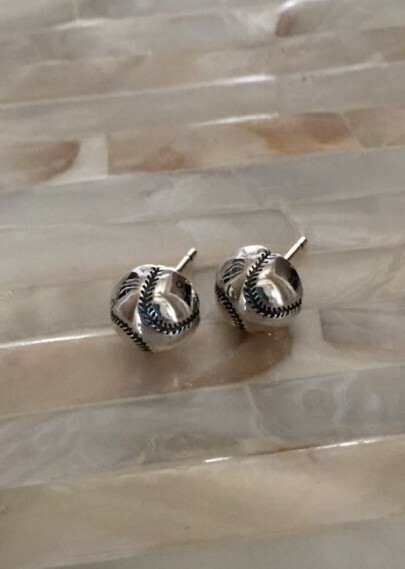 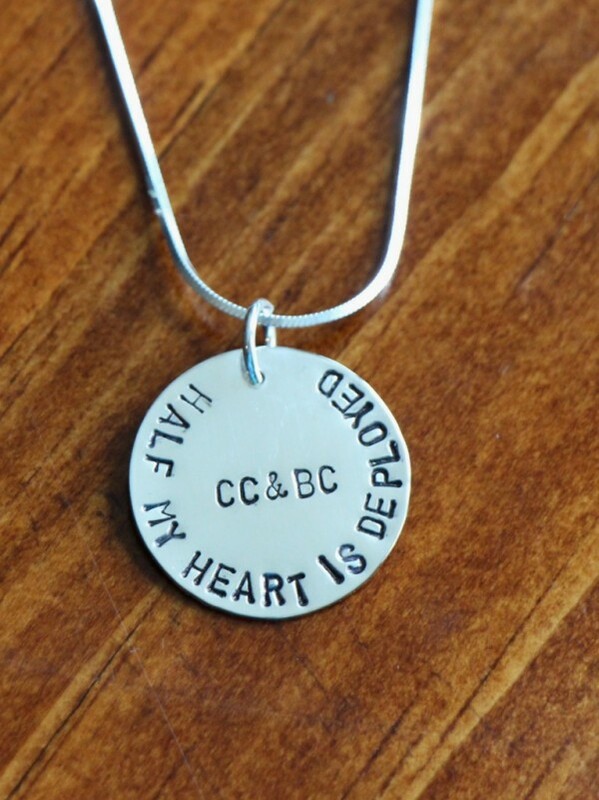 Each piece crafted in sterling silver is hand stamped and custom ordered. 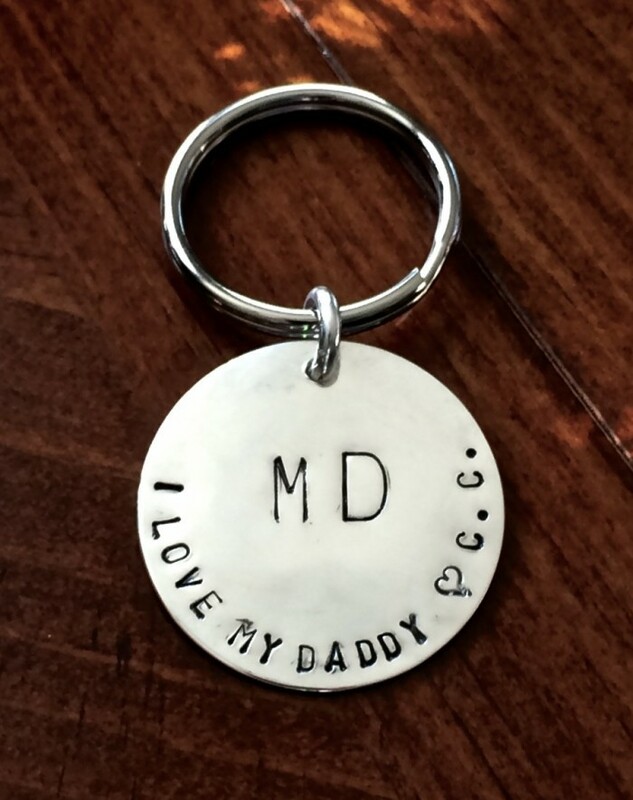 Personalized gifts for Dads, Grads & Teachers on sale now! 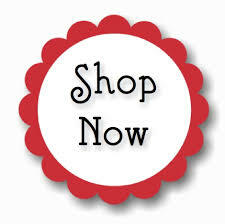 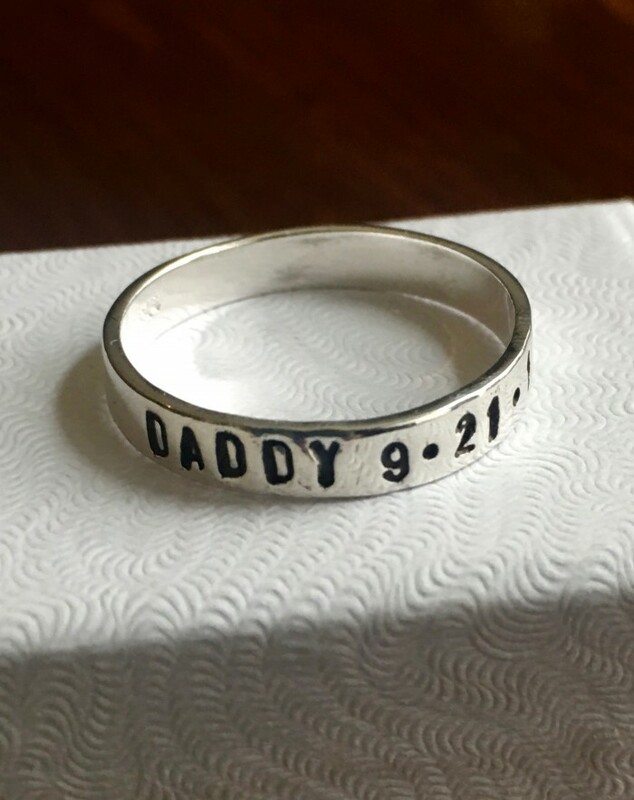 Customize a ring, keychain or necklace with a name, date and inspirational phrase. 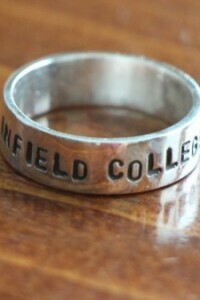 Shop the Graduation Gift Collection today. 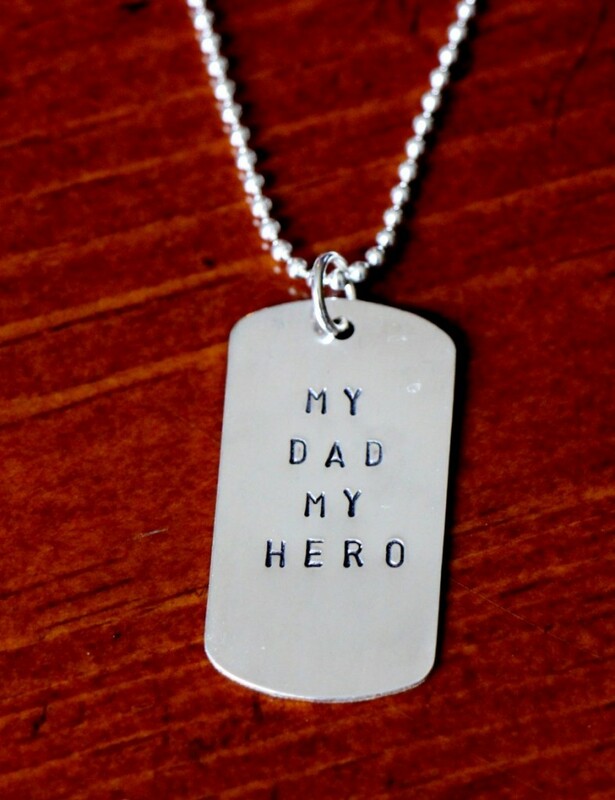 Shop the Father’s Day Gift Collection today. 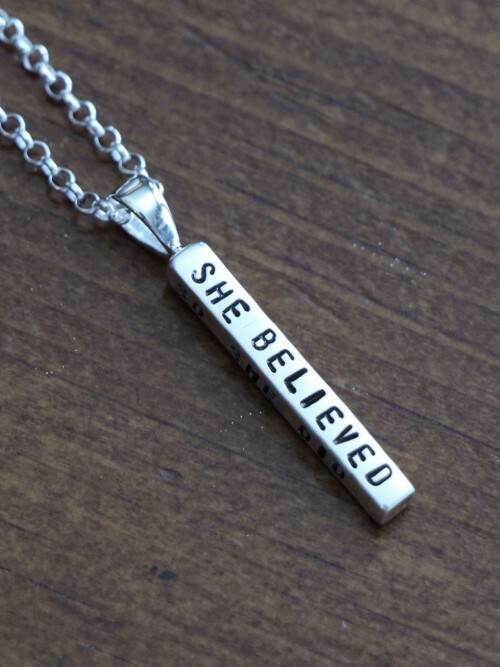 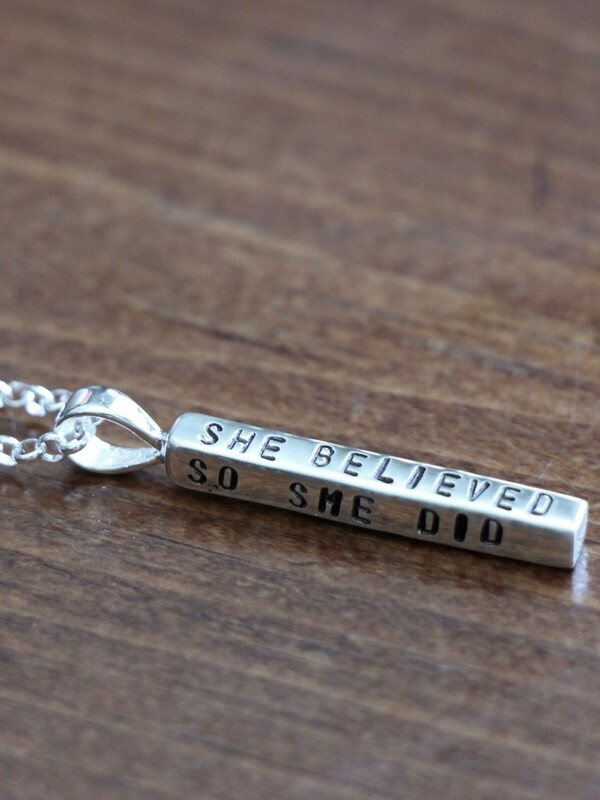 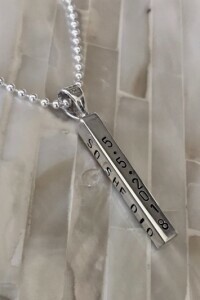 This “she believed she could so she did” necklace was a graduation gift for a special grad personalized with her graduation date to commemorate this special occasion. 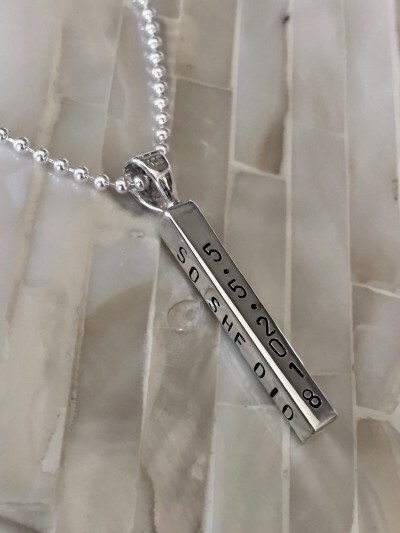 The sterling silver hand stamped necklace features a four sided bar personalized with a name, graduation date or custom phrase. 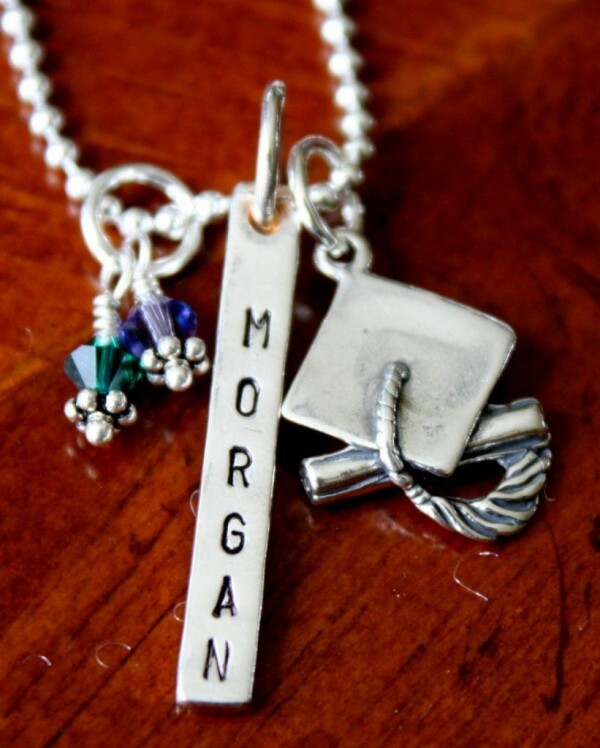 An optional graduation cap charm and Swarovski crystal birthstone may be added. 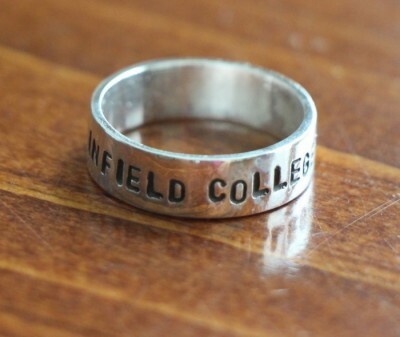 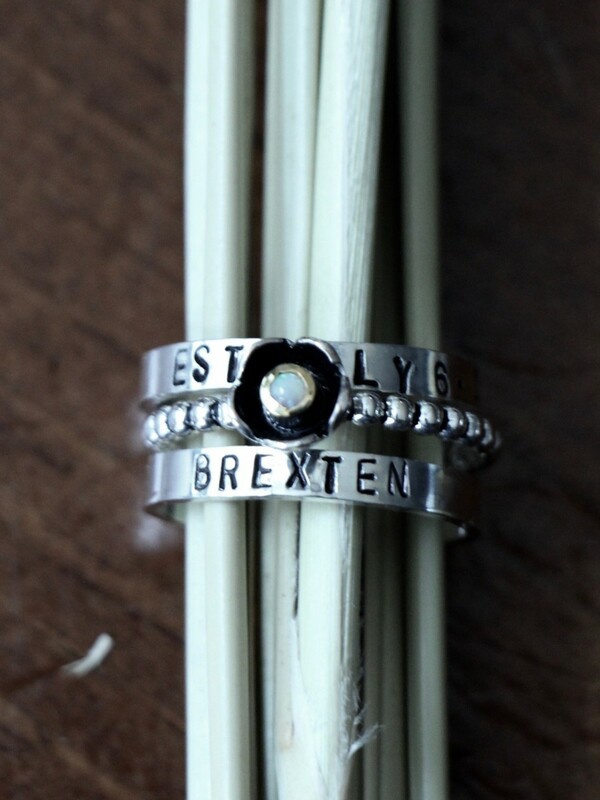 Personalize a hand stamped ring with your graduate’s name, school, phrase and graduation date or year – a perfect graduation gift for him to commemorate this special occasion. 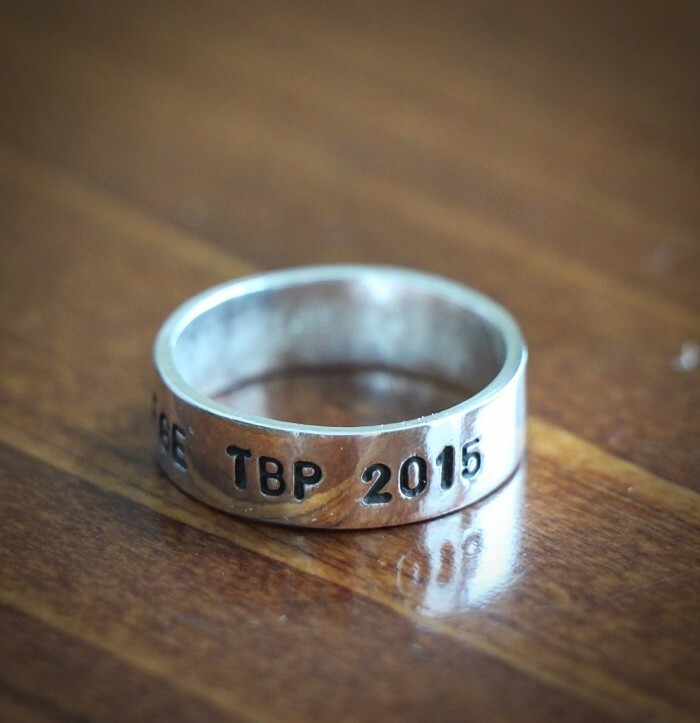 Our custom class ring is a 6mm band available in sizes 5 – 14. 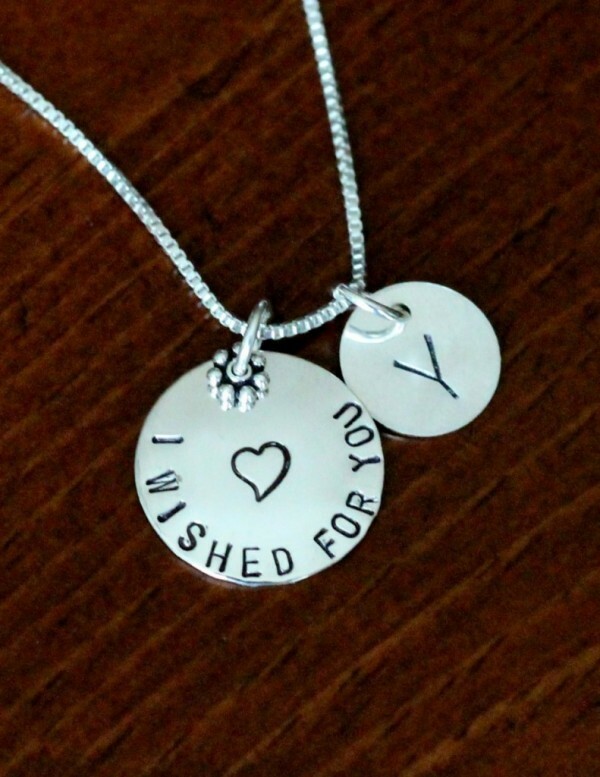 Personalization is free and allows up to 30 characters. 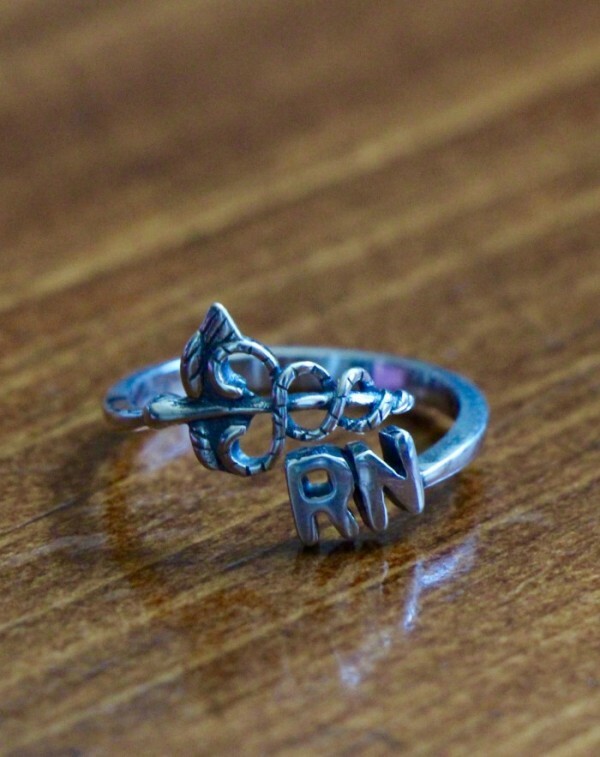 Save today on a nursing student graduation gift, RN ring or nurse appreciation gift. 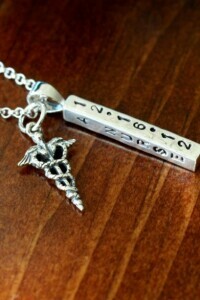 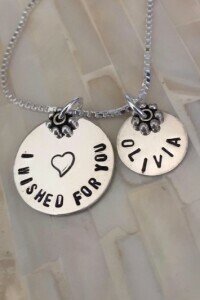 Personalize with her name, graduation date or message. 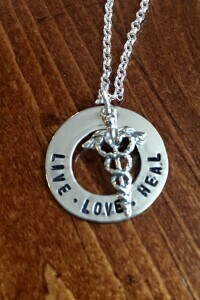 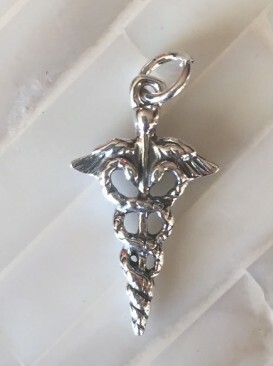 The Caduceus medical symbol charm will honor their dedication to medicine, healing, health and wellness. 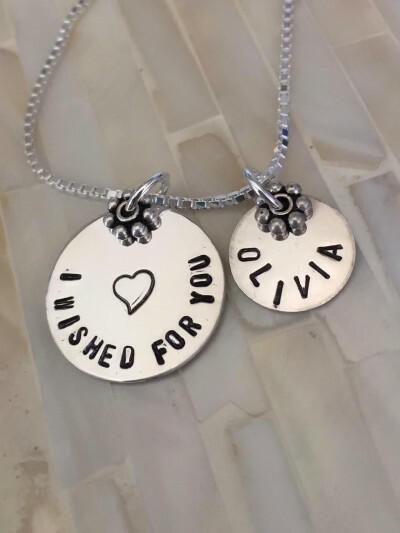 Personalized “I wished for you” mother’s necklace is hand stamped with child’s name or initial- a sweet adoption gift or baby shower gift for a new mom to wear close to heart. 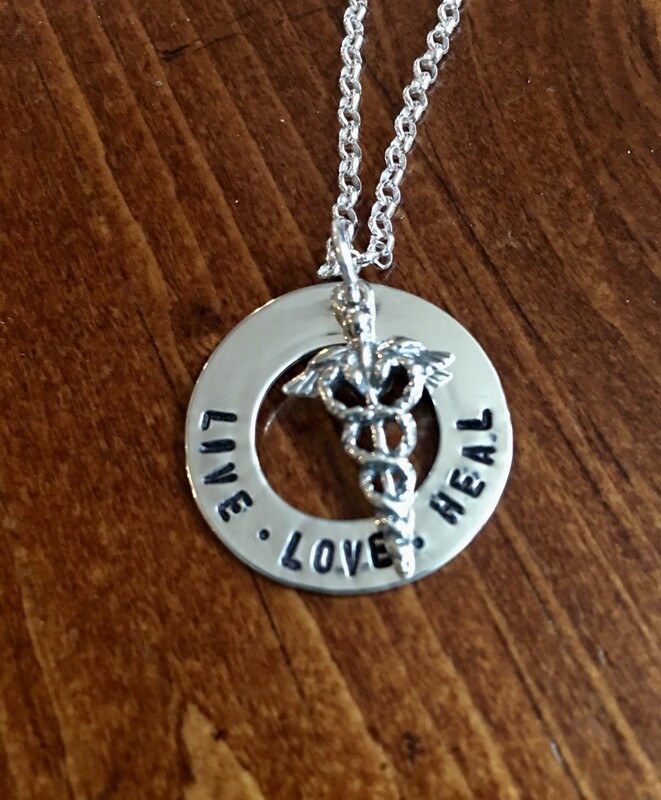 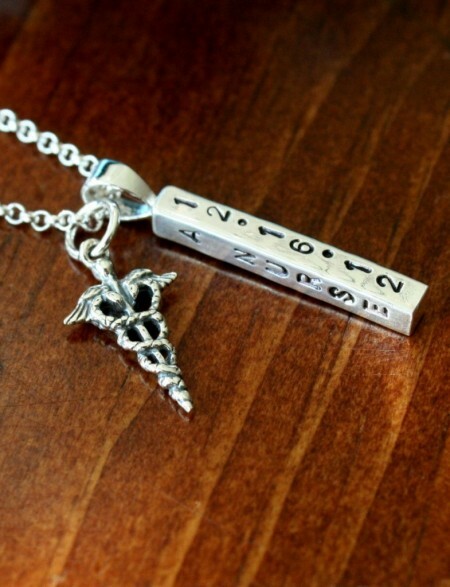 The sterling silver, hand stamped necklace is personalized with a name, date or initial.